As the new school season approaches, it is a good time to see what federal datasets are available for educational app developers. Visit the developers’ page at ED.gov to find 36 educational datasets for educational levels. The datasets can be accessed in CSV, JSON, XML, and API formats. What is especially helpful is a PDF document that explains the data and the methodology behind the data collection. This is useful information for app developers when they combine datasets. 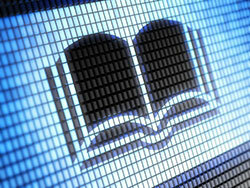 The Department of Education supports app developers through the Education Data Initiative. The Department of Education held the first Educational Datapooloza in 2012, which produced such educational technology innovations as the MyData Initiative. In January 2014, the second Educational Datapooloza was held. You can view videos from both events at EdBlogs. These sites provide a wealth of information that can be used to create apps to help students, parents, and the public make good educational decisions and investments. Maybe a good school project would be to create an app based on the many datasets and support provided by the Education Data Initiative? Each week in “The API Briefing,” I will showcase government APIs and the latest API news and trends. Visit this blog every week to learn how government APIs are transforming government and improving government services for the American people. If you have ideas for a topic or have questions about APIs, please contact me via email.